Three stations on the District line celebrate their 150th birthday today. This might sound impossible given that the London Underground system itself is only 145 years old, but these three out-east stations were originally part of a completely different pioneering railway network. The London, Tilbury and Southend Railway (LTSR) struck out for the Essex coast in the 1850s, originally via Stratford, but then craved their own direct connection to Fenchurch Street. A new link was built between Bow and Barking, with new stations at Bromley-by-Bow, Plaistow and East Ham, and opened on Wednesday 31st March 1858. If you'd like more information there's a special (extremely well hidden) 150th anniversary page on the TfL website, and they're also selling rather tasteful 150th anniversary posters at the Museum shop. Here's an anniversary tribute to the three 150-year-old stations, starting with my very-local one. Claim to fame: Look very closely at the tube maps on EastEnders and you'll see that Walford East takes the place of Bromley-by-Bow. What's on the special 150th anniversary poster: Clock Mill, one of the two mills at Three Mills on the River Lea. 5 things I found outside the station: the A12 Eastway (bulldozed through local streets in the 60s), the Queen Victoria pub (closed), the knocked-down remains of gothic St Andrew's Hospital (to be reborn as 956 distinctly non-gothic semi-affordable homes), my local supermarket, the field where the old Big Brother House used to be. Heritage features: Plenty of green LTSR monograms, especially on the western platform; a forest of thin iron pillars painted with gold trim; white wooden canopies in "arcade" style; double length wooden benches with inlaid LTSR metalwork; the whole station remains relatively un-butchered. Fact file: London has two Plaistows, both close to places called Bromley. This Plaistow is by far the less glamorous. Personally, I blame the giant sewer running through the centre. Anniversary celebrations: Nothing whatsoever. Not even a poster. Not even today. 5 things I found outside the station: a busy bus stop, a beeping pelican crossing, a Dagenham Motors car showroom, one of Plaistow's two job centres, BestMate's flat. Heritage features: Plenty of double LTSR monograms; splendid wooden canopies; the remains of an old stabling bay; lightbox "next train" indicator; eastbound platform considerably heritage-ier than the westbound; ooh you can almost imagine the Victorian ladies in their crinolines waiting for the next steam service to Leigh-on-Sea. Fact file: Vera Lynn grew up in East Ham. And Jimmy Greaves. 5 things I found outside the station: a nigh-stationary queue of traffic, 8 passing bus routes, various non-highbrow retail outlets along an Edwardian High Street, a variety of Asian restaurants, The Who Shop. In the early hours of Saturday morning, slightly earlier than advertised, a whopping great bridge was shifted into place above Shoreditch High Street. It was lifted by a giant yellow crane (Britain's heaviest crane, no less). And, unlike certain airport terminals I could name, the whole thing went like clockwork. Apart from the clock part, that is. "Work starts at 08:00", said the press release. So I was a little surprised to be walking up Bishopsgate at 07:58 and to see the bridge already nudging the final few inches across the road. Obviously it's TfL's prerogative to slide their bridges whenever they like, and this was never meant to be a spectator sport, but I was disappointed all the same. Maybe I should have stayed at home and watched the whole thing on webcam instead - except that didn't appear to be working either. Ah well. I may have been too late for the horizontal but there was a lot of vertical still to go. 350 tonnes of bow-string bridge hung weightily in mid-air above the road. There must have been nearly 100 orange-jacketed workmen watching proceedings, but only a handful of them were actually doing anything. The crane operator was very busy, of course, and a few guys with guide ropes edging the bridge into the correct alignment above the concrete supports. And high up above the sealed off High Street, on the roof of the TEA building, the TFL webcam operator and friends. For everybody else this appeared to be little more than a good opportunity to stand and stare, along with a few early morning spectators, as the latest chunk of London's transport infrastructure fell oh-so gradually into place. Mustn't rush. Come 2010 this bridge is due to be supporting umpteen trains an hour, so it was important to position it absolutely precisely. Inch by inch. Slowly does it. OK, bored now. Meanwhile, on the other side of a Victorian brick wall, another pack of workmen were busy laying the foundations for a new Shoreditch station. It'll be built beside the old Braithwaite Viaduct, and marks the point where the old East London line will rise up above ground level to cross the new bridge and continue on existing elevated tracks to Dalston. Oh lucky residents of Dalston who'll soon be able to add Wapping and Penge to the limited list of destinations to which they can travel by train. Nowhere useful, then. But we're assured that this new orbital railway will transform the lives of the Hackney communities through which it passes. Next train in 1.2 million minutes. Might be quicker to walk. Yes, cheers, I'm fine. Thanks for asking. Ever since my doctor probed my cholesterol level and told me that average was too high, I've been eating really well. Almost puritanically so, in fact. I've been avoiding all those evil fat-rich foods in the red column, and trying to learn to love the extra-healthy stuff in the green column. Really, I hadn't previously realised quite how much fun a man could have eating button mushrooms. Nor how exciting it could be to nibble almonds as a mid-evening snack. And if the world's stocks of salmon suddenly nosedive, that'd be because I've recently recognised the benefits of fish-swallowing several times a week. Ah yes, it's the low-cholesterol lifestyle for me. I'm trying ever so ever so hard to eat like an angel. If someone brings a box of doughnuts or minibites into the office, I'm giving it a miss. If a plate of biscuits is passed round at a meeting, I'm taking nothing. If I suddenly feel the urge for a KitKat or a packet of crisps in the evening, I'm reaching for a carrot instead. And when I walk past the fish and chip shop on the way home, I may breathe in and sigh but I always keep walking. Hell, I haven't even licked an Easter Egg recently. How do people keep this up forever? I'm learning to walk around supermarkets whilst avoiding certain previously favourite aisles. I'm managing to put together a fairly well-balanced diet using a limited number of non-thrilling ingredients. But the biggest problems come when I attempt to eat out. I'm a damned fussy eater, and there's not always something on the menu that I both will eat and can eat. That steak looks nice, but it'll have to be the chicken. That chicken looks nice but it's smothered in cream. That cheesecake looks gorgeous, but both cheese and cake are off limits. And that vegetable tofu stir-fry may be medically acceptable but quite frankly I'd rather starve. Please, don't bother suggesting nice healthy meals that you think I'll enjoy, because I almost certainly won't. And then there's porridge. Thank you all for your astonishing response to my recent post about porridge. You've suggested sufficient hints, tweaks and additional swirly additions for me to be able to enjoy a different porridge-y taste every day for an entire month. I've settled on chucking in a handful of dried fruit and a dollop of (low sugar) strawberry jam, or perhaps a slightly too large spoonful of sticky sweet golden syrup drizzled greedily into the centre of a steaming bowl. I've cut down on milk and upped the water content, as you suggested. And yes, thanks, now it's edible. Although I've since splashed out on some proper organic Scottish oatflakes, like you recommended, but I don't yet have the knack of making them taste like anything other than non-adhesive flapjacks. Not even after a good overnight soaking. I may have to go back to the cheap own-brand wood shavings I was enjoying previously. Only another five weeks and then I can have another blood test to see if my extra-healthy diet has had any effect. I'm not sure which I'm dreading more, the possibility that my cholesterol levels haven't budged an inch, or the success of a diet I couldn't possibly maintain for 40 years. And now I'm off out to watch TfL use a megacrane to slide a big bridge across Shoreditch High Street. If you log in before 10am, you might even spot me on the official slidy-bridge webcam. If it's working. What you won't spot is me joining BestMate for a greasy bacon fry-up afterwards. Bowl of porridge anyone? After my obscure trip to Rutland, I thought I'd go somewhere that even fewer of you have visited. Heathrow Terminal 5. Yes, I know that some of you have been there in trials to test the luggage system (you could have tried harder, couldn't you?). And one of you was even on the first tube train into the terminal yesterday morning and had it all blogged before 9am (well beyond the call of duty, eh?). But I had the day off work, and the weather was sunny, and my camera battery was recharged, so off I went. I'm always inquisitive to see a brand new carbon-guzzling megastructure. Plus there was a brand new tube station to see, and there hasn't been one of those before since the turn of the century. Here are 25 photographs to whet your appetite. Go on, I know you want to know see what the place looks like. Terminal 5 didn't look like a reputational disaster zone when I arrived. The underground station was clean and efficient, if architecturally uninspiring. OK, so the "next train" indicator seemed to be playing up a little, and I can't believe that a mere 6 ticket gates will be enough to stop queues from forming, but it's all functional enough. From down here there's a choice of either escalators or lifts to your above ground destination. If you're heading for Departures then make sure you take the lift, it'll save a tedious 5 floor ascent. And don't worry, nobody'll be taking your fingerprints on the way up. Ooh, Departures. Very nice. From up here on the top deck you get a real sense of the size and scale of this monumental building. It's 400m from one end to the other, and you can see and walk all the way down from A to H. Look at that one-piece undulating roof, and see the hassled airport staff trying to update would-be travellers with the latest flight cancellations. Everything's been designed to work like clockwork. Automated check-in terminals are clustered close to luggage-dump desks, with a long row of non-glitzy shops and security gates behind. There are very few seats to sit on, but that's OK because the whole check-in procedure "should only take ten minutes". On a good day, that is. Yesterday there were unexpected queues, considerably longer than planned, and the "fast bag drop" desks proved embarrassingly badly named. Somewhere beneath our feet the miraculous new baggage-handling sysytem had gone very wrong indeed. Fortunate then that the world's media were on hand, lenses poised, to capture the full human drama of this very British triumph. Er, fiasco. If you're only a sightseer nosing around the terminal (or if you suddenly find yourself with unexpected hours to spare), there's plenty to see close by. Go and peer out of the sort-of observation window on the southern wall and look down over the masses of identically-finned BA planes gathered round the terminal building. Or follow the T5 employees popping outside to the elevated coach drop-off lanes for a quick cigarette. It's surprisingly quiet out here, bar the occasional roaring jumbo, and aspiring plane spotters would appear to be untroubled by jobsworth security guards. Or maybe that's just a first day special offer. Oh and over there in the distance, somewhere across the M25, you can easily spot the famous silhouette of Windsor Castle. In common with many of her loyal south London subjects, I do wonder how the Queen gets any sleep at night. There's one more level to explore, although it's nowhere near so impressive. Arrivals is on the ground floor, three escalators down. Personally I preferred the intermediate glass staircases, spaced out along the terminal building, although it's a 12 flight descent so better down than up. The Arrivals area is a bit dull, to be honest, bar the upward view of steel rods and hanging circles. Just as well that nobody's going to be hanging around here for long, waiting for three hours for relatives to collect their delayed baggage. From here it's a short walk to what T5 optimistically describes as the "Interchange Plaza". Or, in other words, the bus station. It's a bit gloomy, but it's nowhere near as bad as the miserable concrete dump round the back of Terminal 4. I chose to depart not by bus (nor thankfully by plane) but back on the tube. And I ended up waiting for the lift with two clearly-annoyed ladies, their anger not helped by the elevator's non-appearance. Come on, where was the button to summon the bloody thing? Ah, it must be automated, we decided. That'd be why it took us to the wrong floor and sat there, doors wide open, waiting for nobody at all to get in. "We're going home," the dear ladies sighed, clutching a pair of un-checked red suitcases. "Our flight's cancelled, and we just grew tired of waiting." The lift responded by spluttering into action and slipping gradually downwards, taking British Airways' reputation with it. n.b. A few weeks ago I was approached by a T5 marketing presence offering a variety of promotional T5 widgets and T5 images for my blog, should I be interested. There was even a special YouTube interview with Ian Bailey, designer of the Terminal 5 baggage system, which they hoped I'd link to. Well Claudio, good news, I have now. For that quintessential Rutland experience, only a sedate voyage around Rutland Water will do. In the likely event that you don't know anybody with a boat, especially one that can sail to a landlocked reservoir, a trip on the Rutland Belle will have to suffice. The season opened this Easter weekend, and the boat sails four-ish times a day from Whitwell Harbour until the autumn. There's the pier, down by the cafe/restaurant, past the diving gear shop. Come on, hurry up, she sails at noon. I was sold my ticket by a uniformed bloke in a sailor's hat. "One adult?" he beamed, and handed me a pink ticket. Half a minute later I was handing over the same pink ticket to another smiling operative on the jetty, this time in a thick black jumper with gold epaulettes. "Sorry, we're only doing the round trip today, the pontoon at Normanton isn't operational yet." Damn, that was my main reason for paying seven quid 30 seconds ago. But never mind. I stepped aboard, through the deserted cabin and up to the ever-so empty upper deck. Just me, then? So much for the great UK bank holiday tourist rush. Thankfully my embarrassment was spared by a late party of pensioners. The husbands were determined to join me upstairs to take photographs, but their wives forced them to stay downstairs in the warm for the duration. Very wise, as it turned out. The ticket seller locked up his booth, climbed to the upper deck, strolled past me with another grin and shut himself in the wheelhouse. The ticket collector then leapt aboard the boat, cast off from the jetty and positioned himself behind the bar. It's a very small business, this. And then off we chugged, all not very many of us, for a tour of the eastern end of the reservoir. First to the largest bronze sculpture in the world (at least it was in 1980, but it's almost certainly been overtaken by something bronzier since), poking up from the edge of a picnic area like a deformed razor blade. On past the odd fishing boat and the occasional skiff. And then a quick jaunt alongside the dam, which looked like 1km of piled-up pebbles with a lot of cyclists on top. It's rather thicker beneath the waves, for which the villagers of Empingham downstream are duly thankful. Next stop Normanton Church. Or alas, in this case, non-stop. This former private chapel proved a real headache for the engineers who built Rutland Water in the 1970s. The building was just too far down a grassy slope to be safe from the rising waters and would have been part submerged, rendering it unserviceable. A cunning plan was therefore proposed whereby the lower half of the church would be filled in using concrete and limestone, raising the floor to just below window level. A protective pier of stones was then constructed around the perimeter, leaving the deconsecrated church connected to the mainland via a short causeway. And now Normanton Church houses an unlikely museum which tells how 3% of Rutland came to be flooded, and how this unique building survived. Alas I never quite made it inside, but the views from the passing boat were really rather striking. At this point, as we neared the extensive marina of the Rutland Sailing School, the wind chill factor cut in. I nipped downstairs to the bar to order a half pint of warmest tea, then confused the barman by going back upstairs into the freezing winds to drink it. Madness, obviously, but I'd paid handsomely for the view and had no plans to surrender to a mere Arctic blast. The tea kept me heated for a few minutes, but for the last mile of the voyage I was shivering as if encased in a block of ice. I shall never complain about overheating on the Central line again. Whitwell Harbour's becalmed shelter therefore came as a blessed relief, and I rattled off the boat as rapidly as possible. And behind me followed Captain Trevor, back to the booth at the top of the jetty, ready to sell tickets to the next batch of not-yet-chilled sightseers. I bet they enjoyed their trip too, but I bet they sat downstairs. Rutland's most famous feature is a big lake. A really big horseshoe shaped lake (which is kind of appropriate in a county obsessed by horseshoes). Rutland Water is the largest reservoir in the UK, conceived in the 1960s as a solution to Eastern England's water supply problems and covering more than 3000 acres of rolling countryside. Bad luck to the residents and farmers of Nether Hambleton, whose homes and livelihoods disappeared beneath the slowly-filling waters. Sacrificed to prevent hosepipe bans in Milton Keynes, what a way to go. But the nearby village of Upper Hambleton was more fortunate and survives intact on a thin-necked ridge up the centre of the lake. It's a great leveller, water. Rutland Water today is a mecca for outdoor and active types. If you fancy some watersports action then you'll find sailing clubs and windsurf schools galore. If you fancy a bit of angling then rejoice that the waters are restocked with slippery trout at regular intervals. And if you fancy cycling then you're in luck, because the lake 26 mile perimeter is perfect for a one-day circuit. Indeed there are cyclists everywhere along the orbital path, sometimes at beginner level, sometimes over-confident, trundling over the cattle grids and wheeeee-ing down the hills. Mind out of the way, here come five more, on their way from one car park to the next. But pity any poor deluded soul that attempts to make their way to the the interesting spots on the water's edge by public transport. Especially on a bank holiday. On Easter Monday all of Rutland's buses were running a Sunday service, which alas translated as "no service whatsoever". Any attempt at reaching the leisure hub at Whitwell therefore relied on a five mile windswept stroll from Oakham (and, later, a five mile windswept stroll back). It's amazing what a dedicated blogger will do just to get a photograph of a drowned church. Here's my report on the most interesting section of the walk, followed (tomorrow) by a report on the sightseeing boat trip at journey's end. If Barnsdale sounds familiar, that's because Gardeners' World supremo Geoff Hamilton based his TV garden here. The main horticultural showcase lies a little further inland, but Geoff's special Drought Garden is rather more accessible, clinging to a clay slope on the lakeside. The entrance isn't easy to find, nor is the planted area very large when you do... and as for the contents, all I can say is that they're probably not at their best in March. The finest views are from the grass just beyond the hilltop car park, past the sheep down across the flooded valley. Look, there's the shimmering water, and a squat tower poking up above the surface, and passing yachts, and Hambleton on the far shores. Ooh lovely. The path heads east into Barnsdale Wood, with tall slender trunks spreading down to the water's edge. Only trees above the 85m contour have survived - the roots of the remainder have long been submerged. Alas I think I mistimed my visit by a few weeks because the carpet of bluebells through the wood was still only green. Mid-April will be far more impressive. One thing I really appreciated was that Anglian Water, the reservoir's owners, have insisted that all dogs be kept on a lead. Hurrah. This makes for a far more pleasant day out for those of us who don't want to be licked to death by a bouncy Weimaraner, or nibbled by the Staffies. And down the hill to Whitwell - Rutland Water's northern leisure hub. Here you can hire a canoe, or take out your yacht, or climb an artificial rock face, or go shopping in the cycling megastore. There were even some brave souls on Monday in three-quarter length baggywear preparing to head out windsurfing. Sooner them than me. Few Bank Holiday tourists will have realised the village's obscure claim to fame. Back in the 1970s regulars at the Noel Arms pub wrote to the Mayor of Paris, Jaques Chirac, requesting to be twinned with his fair city. Oh, they added, and if you don't reply within a few weeks we'll take that as your consent. No return communication was received, and so the official village sign now proudly boasts "Whitwell - twinned with Paris". Rutlanders eh, they're a breed apart. Up until yesterday, there was only one English county south of the Lake District that I'd never visited. Rutland. Perhaps not surprising, given how small it is. Rutland's tiny, about the same size as the Isle of Wight. It has by far the lowest population of any English county or unitary district - if you gathered all the residents together they'd not even half fill Wembley Stadium. It nestles inconspicuously amid rolling green countryside between Leicester and Peterborough. And there are only two towns. Ah yes, Rutland is quite unique. Ah, and sorry, Rutland's not a real county either. It used to be, for several centuries, up until 1974 when it was suddenly and unpleasantly swallowed up by Leicestershire. Local people were mighty annoyed and campaigned for restoration, and they were almost successful. An independent Rutland was reinstated with much pomp and ceremony in 1997, but only as a unitary district and not a proper council. Elected representatives have therefore been rather cunning and renamed Rutland as "Rutland County Council", just so that the place still sounds like a proper shire county. This means that the council's full legal title is "Rutland County Council District Council", which is administrative madness. At least the county motto is rather more appropriate... multum in parvo (much in little). I decided to undertake a long overdue day trip to Rutland yesterday. I got there rather quicker than I expected (just 100 minutes by train from King's Cross). I went on a very long ten mile walk, and my feet still ache. I took lots of photos, some of which I've assembled in this lovely gallery (which I fully expect to get my lowest number of viewers ever - even lower than Margate - but never mind). And I fitted in as much as possible during my delightful but brief stay. But then that's Rutland for you - multum in parvo. There's only one station in Rutland and that's in the county town of Oakham, so that's where I went first. I was a little unnerved to spot that I was the only passenger getting off of the train, and no doubt the waiting taxis were mighty peeved when I walked straight past them into the town centre. Oakham was shut, probably because it was Bank Holiday Monday morning. The streets were pretty much deserted, apart from pensioners posting letters in the Market Square and well-coiffured ladies in jogging pants nipping out of badly-parked cars to buy newspapers. Shame, because the town centre retains that special non-Starbucks charm, and it might have been nice to browse for East Midland knick knacks, or maybe that special garish menswear that only rural gentlefolk buy. At least all the butchers were shut, so I wasn't tempted to buy myself a giant juicy cholesterol-boosting pork pie - one of the local specialities. And yes, even in a town with fewer than 10000 inhabitants there's still plenty to see. Oakham Castle for a start, although only the Great Hall survives. It's the oldest surviving aisled stone hall in the country (Norman, you know) and has been used as a law court for over 800 years. And it has one really unusual defining characteristic. The interior walls are absolutely covered by giant horseshoes. It's a tradition round here that every visiting peer or member of the royal family donates a decorative horseshoe on their first visit to the town. The older ones are the largest, while the newer ones alas look distinctly like garish toilet seats. Yes, especially your blue horseshoe from the swinging 60s, your Majesty. The town also boasts a surprisingly large museum, also free to enter. There's a history of Rutland up front and all the usual Roman finds upstairs. But the speciality here is agriculture, with a variety of traditional machinery on show from tractors to threshers, plus various scary implements with rusty spikes. There's even the old Oakham gallows complete with dangly rope and one-way staircase. Meanwhile across the road are the administrative offices of Rutland District Council, combining a large old building with a brand new (and rather swish) extension. I'm not convinced that a county with only 35000 inhabitants needs quite so many administrators, but the electorate round here wouldn't have it any other way. Oh yes, multum in parvo indeed. Wow. If you like your sightseeing to be a surprise, then don't read past this first paragraph. But wow. The family home of Stephen and Ginny Courtauld took me aback with almost every room I walked into. Especially the first room. And the big old hall. And the cage. I bet King Henry VIII loved the place. What a shame that its most famous 20th century owners barely had time to enjoy the fruits of their Art Deco makeover. Wow. Is this the portholed lounge of some 1930s ocean liner? No, it's the house's main triangular entrance hall, complete with blackbean veneer walls and a unique glass domed roof. The central rug's rather special, all geometric brown and beige and fawn, so please don't step on it. There are extra-large cloakrooms behind the marquetry panels, as befitted the home of a wealthy socialite, and there's also a walk-in telephone cupboard. They were very big on new-fangled telephones, the Courtaulds. Look down at the skirting board and you might even spot the special sockets where servants plugged their vacuum cleaners into an automated suction system. Elsewhere on the ground floor there's an art-packed drawing room, a smart panelled library for him and a sumptuous boudoir for her. With, up on the wall, a large leather map of the Eltham area. I know, a leather map, whoever heard of such a thing? And then, through a Chinese screened doorway, suddenly it's the Middle Ages again. Ginny and Stephen built their family home in the grounds of a ruined royal palace, and deftly incorporated the Great Hall as their main entertaining space. At 100ft long and 55ft high, there was plenty of room to serve cocktails. The hall is a magnificent 15th century relic, designed by Edward IV's chief mason and still with its oak hammerbeam roof intact. Here the English Tudor court came to celebrate Christmas, and here the young Henry VIII spent much of his childhood. Try not to think about the underfloor central heating the Courtaulds installed - they had different planning regulations in those days. Retrace your steps into the Art Deco Thirties, and upstairs to the bedrooms on the first floor. Yes, these are as modish and dapper as you might expect. Stephen's bedroom has block-printed wallpaper and a blue bathroom, while Ginny's en-suite features a most ostentatious bath beneath a shining gold mosaic. In another room you can watch the two textile millionaires at play in a selection of their home movies, and outside on the landing is the centrally heated cage in which Ginny kept her pet ring-tailed lemur. He was called Mah Jongg and he had the run of the house down a special bamboo ladder. It's how the other half lived, don't you know. And finally back down to the dining room, complete with inlaid black marble and a recessed spotlit aluminium ceiling. A dinner party here, seated on rose-pink upholstered chairs whilst servants scuttled around with silver platters, must have been quite magnificent. Alas the Courtaulds didn't have very long to enjoy this cultured decadence. The house and landscaped gardens weren't completed until 1936, leaving only a handful of perfect summers before war broke out. Stephen and Ginny hung on here until 1944, assisting the WRVS and stamping out fires, before escaping first to Scotland and later to Rhodesia. Their loss is our gain. And wow. Bang, bang, bang. You can't beat that. As I mentioned on Friday, we have a full moon on 22nd March once every 19 years. It's a common event. The reason that 2008 is so special is that 22nd March is a Saturday, allowing 23rd March to be a Sunday. There are seven possible days of the week on which the 23rd can fall, and only when it's a Sunday does the ultimate Easter occur. A one in 19 chance, multiplied by a 1 in 7 chance, that's an event of 1 in 133 year rarity. OK, so once you know the date of the first spring full moon in any year, how do you find the date of the next Sunday? Ah, well, that's where the Sunday Letter comes in. Know the Sunday Letter and you can work out which of the next seven days is a Sunday. Every year is assigned its own Sunday Letter (one of the letters from A to G), roughly corresponding to the seven different days of the week on which January 1st can fall. This Easter the Sunday Letter is E. Next year it's D, then C, then B, and then for 2012 (a leap year) it skips A and flips back round to G. There's a ready-made list of Sunday Letters for the 20th and 21st centuries here. You can then use today's big long table, reproduced from the Book of Common Prayer, to work out the date of Easter. For any particular year you need to know only two things - the Golden Number (see Friday's post) and the Sunday Letter. Start in the first column with the Golden Number. Then move down the table until you find the next row with the correct Sunday Letter. That's the date of Easter Sunday. Simple?  For example, in 2008 the Golden Number is 14 (XIV), so start on the March 22nd row. The Sunday letter is E so move down to the next E, which is March 23rd. And so Easter is March 23rd.  For example, last year the Golden Number was 13 (XIII), so start on the April 2nd row. The Sunday letter was G so move down to the next G, which is April 8th. And so Easter was April 8th.  Oh, and if the full moon is on a Sunday, then Easter jumps to the following Sunday. That's to make sure it's never celebrated on the same day as the Jewish Passover. Whichever date is associated with the Golden Number, Easter can fall on any of the seven dates below it. So not every year with a Golden Number of 14 has a really early Easter. In 2027, for example, Easter will fall on March 28th (Sunday Letter C) and in 1970 Easter was as late as March 29th (Sunday Letter D). Easter 2008 is only fabulously early because the Golden Number is 14 and the Sunday Letter is E.
 The cycle of Easter dates repeats every 5,700,000 years. During this period, Easter falls on March 23rd only 54,150 times (less than 1% of the total).  Today, March 22nd, is the least likely date for Easter to fall - this happens in less than ½% of years. April 19th is the most likely, at nearly 4%.  Easter falls on March 28th in both 2027 and 2032, a gap of five years. No shorter interval is possible.  Almost exactly half of our Easters occur on the same date 11 years later (but never more than four in a row). For example, Easter falls on March 31st in 1991, 2002, 2013 and 2024, but not in 2035.  Consecutive Easters are always separated by 350, 357, 378, or 385 days (that's 50, 51, 54, or 55 weeks). For example, Easter 2008 is 350 days after Easter 2007, but 385 days before Easter 2009. So we've just had the shortest possible gap between Easters, and we're about to enter the longest.  In 1926 the League of Nations proposed that Easter Sunday be observed on the first Sunday after the second Saturday of April (i.e. the Sunday nearest April 12th). However world religions failed to agree on this simplification, and so the movable lunar feast continues.  The last time Easter fell before the clocks went forward was in 1959 (back when the clocks changed to British Summer Time in mid-April, not March).  The coldest recent UK Easter was in 1964. Over the weekend 27-29 March temperatures barely reached 6°C in southern and central parts of the country, and were accompanied by a raw easterly wind.  The snowiest recent UK Easter was in 1983. Over the weekend 1-3 April there was up to 10cm of snowfall in Scotland, the Midlands and Kent. The following Easters were all snowy: 1958, 1965, 1970, 1973, 1975, 1977, 1978, 1982, 1983, 1986, 1994 and 1998. If there's a digit in the table then Easter is in March, and that's the last digit of the date (22nd-31st). If there's a letter in the table then Easter is in April, and the letter follows the code a=1, b=2, c=3 etc. » For example, the symbol in the table for 2008 is a digit, so Easter is in March. That digit is a 3, so Easter is on March 23rd. » For example, the symbol in the table for 2009 is a letter, so Easter is in April. That letter is L, which is the 12th letter of the alphabet, so Easter is on April 12th. Easter Day is the first Sunday after the first full moon after the spring equinox. To get an early Easter you need an early full moon. Like we have this year. This year the spring equinox was yesterday, the next full moon is today, and so Easter is on Sunday. It's not very often that there's a full moon almost immediately after the equinox and then a Sunday very soon afterwards. And that's why Easter is bloody early this year. Happy with that? Good, please stop reading now. Easter Day is the first Sunday after the Paschal Full Moon on or after March 21st. Let's take a more detailed look at these mysterious Paschal Full Moons. The ancient church didn't want to have to mess around with actual astronomical data, because that was quite difficult to predict accurately in those days, and leap years kept getting in the way. So they took advantage of a convenient lunar coincidence called the Metonic Cycle and used this to help. The phases of the Moon may not repeat on the same day every year, but they do repeat (give or take 2 hours) on the same day every 19 years. So if you know the dates of the spring full moons over a 19 year period, you can repeat that list every 19 years afterwards. Simple? Here's a table showing the 19 possible Paschal Full Moons. I've listed all the years from 1976 to 2032, but you can trawl back as far as 1900 and forward as far as 2199 should you want to. Remember, these are all artificial full moons for calculation purposes only. Every year on the same line has the same full moon date. For example, the Paschal Full Moon in 1995 fell on April 14th, the same as 19 years earlier in 1976 and 19 years later in 2014. These years are described as having a Golden Number of 1 (which is the remainder when dividing the year by 19, plus 1). Don't worry about that. All you need to know is that every year with the same Golden Number has the same Paschal Full Moon. Every year with a Golden Number of 1 (including 1900 and 2185, for what it's worth) has its post-equinox full moon on April 14th. Scanning down the table you'll see that the first post-equinox full moon in the year 2000 was on April 18th, and that's the latest date possible. It's years with a Golden Number of 6 that have the very latest Easters. And the Paschal full moon this year is on March 22nd, which is the earliest date possible. It's years with a Golden Number of 14 that have the very earliest Easters. Well, near enough, but I'll come back to the extra complications on Sunday. And one more thing. During the 20th, 21st and 22nd centuries the Paschal Full Moon never falls on March 21st itself, which means that Easter Day can never fall as early as March 22nd. But in other centuries the table of Paschal Full Moons is different. Throughout the 19th century, for example, March 21st was linked to a Golden Number of 14 (that's because 1900 wasn't a leap year, so the pattern skipped a day). And hey presto, in 1818 there actually was an Easter Day on March 22nd. Similarly there'll be another March 22nd Easter in the 23rd century, in 2285. But between 1900 and 2199, March 23rd is the earliest Easter we can possibly get. It really is an utterly extreme Easter this year. Sorry, is anybody still reading? I did warn you to stop earlier, didn't I? It can't have escaped your notice that there's an early Easter this year. Like, very very early. March 23rd is a ridiculously early date for Easter to fall, but that's the way the calendar works out this year. Oh yes, this is most definitely an Extreme Early Easter. This year's Easter isn't quite record-breakingly early, but it nearly is. There's not been an Easter this early since 1913, which is nearly a century ago and you won't remember that. There won't be an Easter this early again until 2160, which is more than a century and half away and you definitely won't be around for that. And there won't be an earlier Easter than this until 2285, which is so far into the future that we'll probably have drowned the planet by then. Oh yes, this is most definitely an Extreme Early Easter. Thanks to to some very complicated ecclesiastical rules involving equinoxes and full moons (which I'll go into tomorrow), Easter Day can fall on any Sunday between March 22nd and April 25th. The period between March 28th and April 20th is the most common, and any Easters outside that range are rather less frequent. This year we're right up at the start of the possible range, on March 23rd, because a couple of unlikely events have combined to create a freak rarity. An Extreme Early Easter. As a movable feast, Easter feels very wrong when it moves too early. It may be nearly three months since we last had a bank holiday, but somehow mid-March is too early to be having a double bank holiday break. School holidays are also all over the place this year because of the early Easter. Some schools are breaking up today and having the next couple of weeks off, whereas others are waiting until mid-April, when Easter "normally" is, and having their break then. Hell, we've not even put the clocks forward yet. And look at the weather, it's more like winter than spring out there. Actually, maybe there's a reason for that. An Extreme Early Equinox. Today is the first day of spring* - the vernal equinox. The overhead Sun crossed the equator at 05:48 this morning, and we're now entering into the warm half of the year. Yes really, March 20th, not March 21st, is the first day of spring. Spring used to start on March 21st, certainly a century ago it did, but the shifting equinox means that it'll now always be on March 20th. Well, every year from 2008 until 2044 anyway. I explained all this last year, were you not paying attention? It takes the Earth approximately 365 days, 5 hours and 49 minutes to orbit the Sun, so every year the spring equinox shifts almost 6 hours later than the year before. That's approximately 24 hours later every 4 years, which is then cancelled out by the presence of a February 29th a few weeks before the next spring equinox occurs. But this still leaves the calendar 11 minutes short of reality every year, and this tiny difference shifts the spring equinox approximately three-quarters of an hour earlier every 4 years. So it's not just Easter that's early this year, it's spring too. An equinox before sunrise on March 20th - it's unheard of. In fact the spring equinox hasn't taken place before 6am on March 20th since 1896. Spring hasn't begun this early since the 19th century! But don't get too excited. The phrase "spring hasn't begun this early since the 19th century" has been true every leap year since 1900, and will continue to be true every leap year until 2024. So our premature spring isn't the reason why Easter is early this year. Our early Easter is a result of something that's happening tomorrow. Come back then and I'll tell you more. Who would have thought that London's Mayoral election might hinge around the humble Routemaster bus? This much-loved workhorse has come to symbolise the supposed chasm that exists between moderniser Ken and fresh-thinking Boris. Mayor Ken killed off the redoubtable Routemaster a few years ago, and now Boris wants to bring them back. Doesn't he? And all at the expense of the nasty evil fare-dodging cycle-crushing bendy bus. 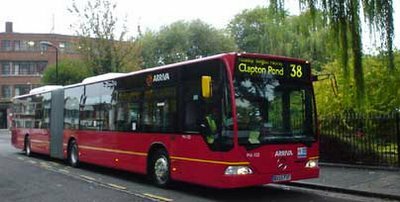 Who could have a good word to say about London's fleet of 337 bendy buses... except perhaps passengers with wheelchairs, or mums with prams, or travellers with suitcases, or freeloaders who fancy a trip across town for nothing. It'll be fab to rid of these articulated roadhogs. Won't it? Well, actually, maybe not. "I will phase out bendy buses and run a new competition to find a 21st century Routemaster that has full disabled access, runs on clean fuel and has conductors." So here's problem number 1. Boris can't bring back old Routemasters because accessibility legislation bans the use of non-inclusive 1950s technology. There aren't enough of the old vehicles left anyway, because most of those withdrawn from service a few years ago are now either in private hands or rusting. So all that Boris can promise is a competition to design a "new Routemaster". Something like this Johnson-approved blueprint here (although the design can't be anywhere near perfect otherwise he wouldn't be relying on a contest). Expect the timelag from competition launch to first on-road replacement to be several years. Long term good, but medium term nil. Then there's problem number 2. The new design won't really be a Routemaster at all, just a rear-platform people-mover with an evocative name. Call it a Routemaster if you like, Boris, but it won't be the classic bumpy spluttering vehicle we know and love. It'll be some new shiny thing with intrusive on-board announcements and electronic destination panels. But before the election, of course, all that matters is a convincing sounding rebranding exercise. Then there's problem number 3. However much Londoners might wish them gone, Boris can't wipe bendy buses from the streets of the capital on the morning after he's elected. Remove them and there'd be hundreds of thousands of passengers on twelve bendy bus routes stranded at their stops. So the unloved bendies stay, for several years, until somebody's invented and built their replacements. But will the electorate notice this subtle difference in time - it's replace and then scrap, not scrap and then replace. Then there's problem number 4. 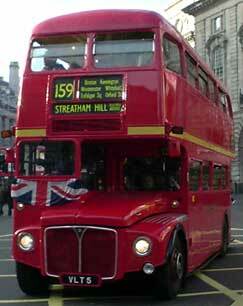 Planning to replace only bendy buses won't reinstate Routemasters on their traditional routes. There are 12 bendy bus routes, but there were as many as 20 recent Routemaster routes, and the overlap is surprisingly small. In fact only four RM routes would be reinstated under Boris's plans, a mere 20% of the total. He'd rescue the iconic 12, 38 and 73, and restore part of the old 36. But he'd also upgrade eight routes that either haven't been RM since the 80s (18, 25, 29, 149, 207, 453) or have never been (507, 521). And he'd completely ignore 16 rightful Routemaster routes (6, 7, 8, 9, 11, 13, 14, 15, 19, 22, 23, 94, 98, 137, 159, 390). This isn't true replacement, not at all. Then there's problem number 5. Scrapping bendy buses, designing a Routemaster-y alternative, kitting them out with 21st century facilities and hiring conductors doesn't come cheap. Certainly nowhere near as cheap as the £8m Boris initially claimed, more like more than ten times that amount. All of which has to be paid for somehow. But I'll leave others to argue that one. So, in conclusion, Boris's idea is quite good, but it's nowhere near as good as most Londoners believe it to be. Basically, electorate, you've been had. Even if you vote in Boris now, you won't be seeing any "new Routemasters" (or fewer bendy buses) until around the time of the next Mayoral election in 2012. If you're lucky. Which leaves Ken's transport plans - a rather uninspiring "more of the same". At least "more of the same" won't include more bendy buses - we had the last changeover in 2006 and Ken now promises he's not planning on introducing any more. But more of the same doesn't win votes, even when it's actually quite progressive. Oh London, I worry about you sometimes. And if you can't see through Boris's Routemaster ploy, then I fear you deserve everything you get. Until last week I wouldn't have dreamed of having porridge for breakfast. I mean, porridge? It's not had a good press, has it? Goldilocks had trouble finding porridge at the right temperature. Oliver Twist could never get enough gruel to fill his echoing stomach. And those Ready Brek kids from the 1970s used to glow red like they'd spent the night inside a nuclear reactor. Porridge certainly isn't the breakfast of choice for the modern generation. It's been outstripped by muesli, and croissants, and extra-sugar pre-diabetic chocoflakes with marshmallow floaty bits. Even a full fat fry-up has a higher media profile than porridge. But I'm not allowed a full fat fry-up any more, so porridge it is. When adjusting one's diet to lower cholesterol, porridge is apparently the way to go. Its oaty structure acts like a "cholesterol hoover" in your veins, so I'm told, in much the same way that gobbling oily fish unclogs your tubes and makes you healthier. So, it's either herrings for breakfast or it's porridge. I've plumped for the latter. Except, oh dear, porridge isn't exactly tasty is it? I bought a trial box of porridge oats on my first tentative post-diet supermarket excursion last week. What a depressing occasion that was. I was forced to bypass some of my favourite aisles (sorry no pies, sorry no biscuits, sorry no cake, sorry) in favour of new and unexpected haunts. Welcome to the low-fat healthy eating area. It was all so unfamiliar, and almost nauseatingly wholesome. Erm, right, so this is the porridge section is it? Oh dear, not a mouth watering prospect. The following morning I poured out my first bowl of porridge for my inaugural breakfast experience. As I ripped open the packet I accidentally managed to cover half the kitchen with a thin layer of finely milled dust. Damn, wasn't expecting that. A few minutes with a cloth later and I was busy reading the packet, having suddenly realised that I had no idea what one actually does with porridge. Ah, OK, boiling milk. But whipping out a saucepan smacked rather too much of washing up. Was there an alternative option? Yup, good, microwave. I mixed in some appropriately skimmed milk and waited for the ping. And what do you know, the resulting stodge tasted absolutely foul. Like some sort of papier maché or wallpaper paste (not that I know what either of those taste like, you understand, I'm just guessing). Ugh. I rushed back to the kitchen to throw in a handful of dried fruit - rather a large handful just to be on the safe side - and then shovelled the gloopy gruel down my gullet as fast as humanly possible. Never again. On Day 2 I read the instructions on the packet again and realised that the ratio of oats to milk was probably crucial. So I risked another attempt, spooning the correct measure of wood shavings into my bowl and then stirring in a precise number of millilitres of cow juice. And that tasted a bit better. Still not in any way delicious or even appetising, but potentially bearable every single morning for the next 40 years. Sigh. On Day 3 I got overconfident. I thought I knew what I was doing, guessed at the proportions and managed to mix myself another thick mound of steaming glue. The perfect porridge combination isn't yet second nature. Or maybe I should be using water instead of milk, I dunno. I'll get the hang of it eventually. And now this morning, as I post today's blog over breakfast, I'm staring not quite excitedly at yet another pool of oaty stodge. I'm sure it'd be lovely with a big dollop of chocolate sauce swirled into the middle. Sigh, chocolate. I remember chocolate.